Yesterday’s news that Lakeshore Lending Limited, a subsidiary of card manufacturer and supplier American Greetings, has bought the brands and assets of Clinton Cards – including 397 of its stores and 4,500 employees – comes as little surprise. Having secured control of £35m ($56m) of Clintons’ secured debt a month ago – the move that precipitated the chain’s collapse into administration in the first place – American Greetings was always in prime position to gain full control of what remains an important route into the UK cards market, worth a reported $315 million in annual revenues. The administrator Zolfo Cooper’s announcement, on 16 May, that 350 of the chain’s stores had been slated for closure also raised expectations that a deal for the remaining shops would soon be on the horizon. The final size and shape of the slimmed-down chain is, according to American Greetings, still “dependent on negotiations with landlords at each respective location”, though experience of previous retailer rescues suggests that most landlords will be willing to negotiate rather than risk an empty unit. As it is, 400 shops accords with my earlier estimate of what a post-collapse Clintons might look like, and should give the chain a much more focused and manageable estate than the nearly 800 shops it had prior to collapse. Card Factory, by comparison, is currently up to 480 stores, though its value-focused offer arguably gives it a wider pool of potential locations than Clinton’s more expensive mid-market positioning. 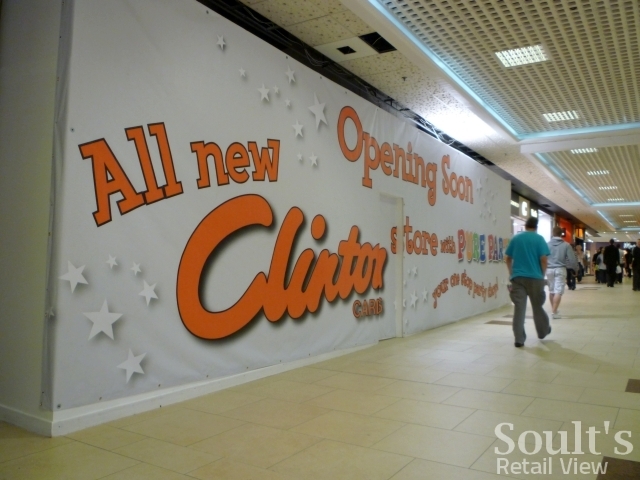 So, what does all this mean for Clintons’ stores and staff in the North East? 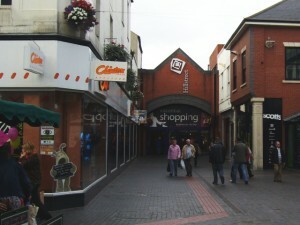 Two stores in our region – Pure Party in Middlesbrough’s Cleveland Centre and Newton Aycliffe’s Clintons – had already gone as part of an initial package of 44 closures at the end of May, and Zolfo Cooper has now published the full lists of stores (downloadable here) that have either been acquired by American Greetings or that remain in its ownership. Interestingly, Stockton’s is among 20 Birthdays-branded stores that form part of the acquisition package. 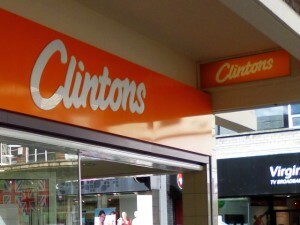 Previously, the administrator had announced that the 150-strong Birthdays fascia would be closed down completely, so it seems likely that these 20 saved stores will be revamped and rebranded as Clintons rather than retained as a rump Birthdays chain. 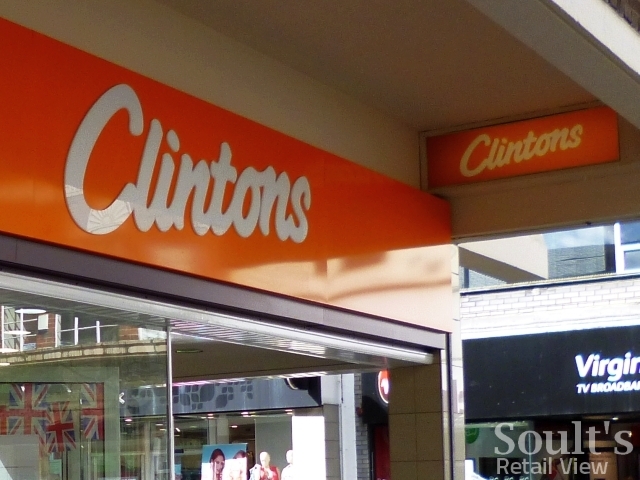 So, overall, it’s a mixed picture for the North East from the Clintons sale, with good news for some high streets – particularly Stockton, which seems to be keeping both its stores – but disappointment for others. In Peterlee and Metrocentre, interestingly, the expected closures also follow the recent losses of Peacocks and Game or Gamestation stores in both those centres. 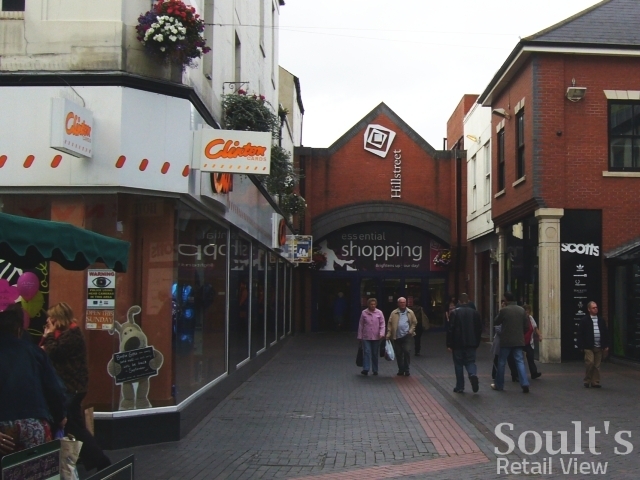 This inevitably raises some questions over what’s going on in these places – in terms of footfall or rents, for example – if the purchasers of collapsed businesses are routinely choosing not to acquire stores in those locations. Alternatively, in Metrocentre’s case at least, it could just be a function (as Graeme suggests below) of there being too many overlapping stores, with the purchasers of Game and Clintons choosing to retain one store in the centre while closing another. For those 400 Clinton sites that do look set to have a future, the hard work, of course, starts now. For all that it was American Greetings’ actions that tipped Clintons into administration, there’s a strong possibility that Clintons would sooner or later have collapsed anyway, leaving its main supplier – and, potentially, the future of the business – in a much weaker position. Now that it’s in control, it will be fascinating to see what American Greetings plans to do to recapture the missing Clintons wow factor that I blogged about previously, and – in the face of strong competitors such as Card Factory, Paperchase and Moonpig – to build a truly distinctive and sustainable position for Clintons in the UK greetings card market. I am pleased Eldon Square Clintons is saved. Every time I have been there the staff have all been incredibly pleasant, friendly and helpful. It’s very refreshing because I don’t know of any other company that offers consistent customer service of such a good standard. Even the likes of M&S or John Lewis don’t come close. It would be a shame if they had to lose their jobs. Only the Birthdays store in the Metrocentre is on the list, what about the Clintons store in the red mall, any idea if this is staying or going? Also, didn’t Game keep one of their Metrocentre stores open (tried to check on Game and Metrocentre website but both have both Game stores still listed)? 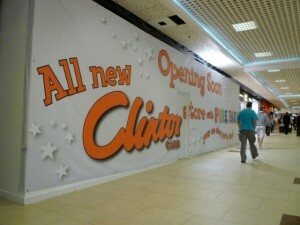 If Clinton’s and Game have closed one of their two stores in the Metrocentre then I presume this answers your question, they are simply getting rid of duplication rather than a deeper issue of rent and footfall problems. Thanks Graeme – I’ve added the saved Metrocentre store (which I’d missed off in error) and updated the commentary accordingly!